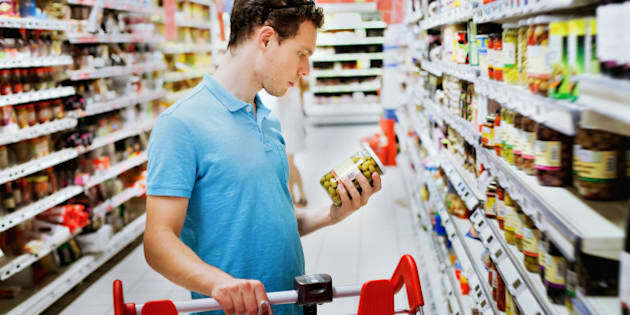 Whether you’re new to food allergies or have been dealing with them for years, figuring out what is and isn’t in the food you find at the grocery store can be daunting. With all the confusing ingredients on packaged goods labels, how do you know that box of crackers doesn’t have nuts in it, or that can of soup wasn’t made with wheat? The good news is, in Canada there are regulations that are meant to make reading food labels simpler for people with allergies. But there are exceptions, and so it’s important to know what is covered by the labelling rules, and what isn’t. The first and most important thing to know, is that Canada’s Food Allergen Labelling Regulations, only apply to what are known as “priority” or major allergens. If your allergens are included in this list, label-reading will be much easier. Here are some things you’ll need to know. - Priority allergens must be declared on packaged goods sold in the Canada. - Watch for priority allergens either in the ingredient list or in a “Contains” statement after the ingredient list. - These allergens must be identified in plain language. For instance, companies can’t use a scientific name for a protein that’s a top allergen, since that might not be clear to the consumer. So “milk” is clearly stated rather than the protein casein, “egg” for albumen, “wheat” for flour and “soy” for lecithin. - If major allergens are found within other ingredients, such as “natural flavour” or “spice” they must be declared, either in the ingredient list or afterwards, in a “Contains” statement. - When fish, crustaceans or shellfish are present, manufacturers must specify the type. - Highly refined oils derived from priority allergens, with the exception of peanut oil, do not need to be declared, as these are considered safe because they do not contain the allergenic protein. In Canada, peanut oil must always be declared, whether highly refined or not. - The source of hydrolyzed (or broken down) plant proteins, starches, modified starches and lecithins must be identified by the common or usual name if they contain a priority allergen. e.g. hydrolyzed soy protein. - Sulphites must be declared when added directly to a food in any amount. Also, they must be declared when added indirectly as a component of an ingredient if the total amount of sulphites in the finished products is 10 parts per million or more. Which Products Fall Under These Rules? - Canada’s allergen labeling regulations apply to prepackaged food sold in Canada. - There are exceptions – they do not apply to some products prepared and packaged at a retail location; for example, bulk items packaged in a grocery store, or meat and poultry prepared and packaged in the store (e.g. deli roast chicken). - Most alcohol falls under allergen labelling rules. Exceptions are wine with a vintage date of 2011 and earlier and beer. - If fruits and vegetables have a protective edible coating or wax containing a major allergen, this must be declared ONLY if the fruit or vegetable has been packaged with a label. If your allergen is NOT one of the 11 priority allergens, then reading ingredient labels becomes much more difficult. You will need to get to know the scientific names for your allergen and where it can hide. For example, maltodextrin can be made from corn. Also, companies are not required to list the components of ingredients such as “natural flavour” or “spice”, if they are not major allergens. Always call the manufacturer to find out what is in these ingredients, and if you’re ever unsure, avoid the food. Note that precautionary statements, or “May contains” are NOT required, and are not governed by any regulations. They are helpful for identifying food that might be unsafe, but there are things to be aware of. If you think you have had a reaction to a food that should have been safe, contact the Canadian Food Inspection Agency. Allergic Living magazine and website offer coverage of food and environmental allergies and celiac disease. Receive a sample copy of the magazine by clicking here. Also visit Allergicliving.com for articles and recipes.